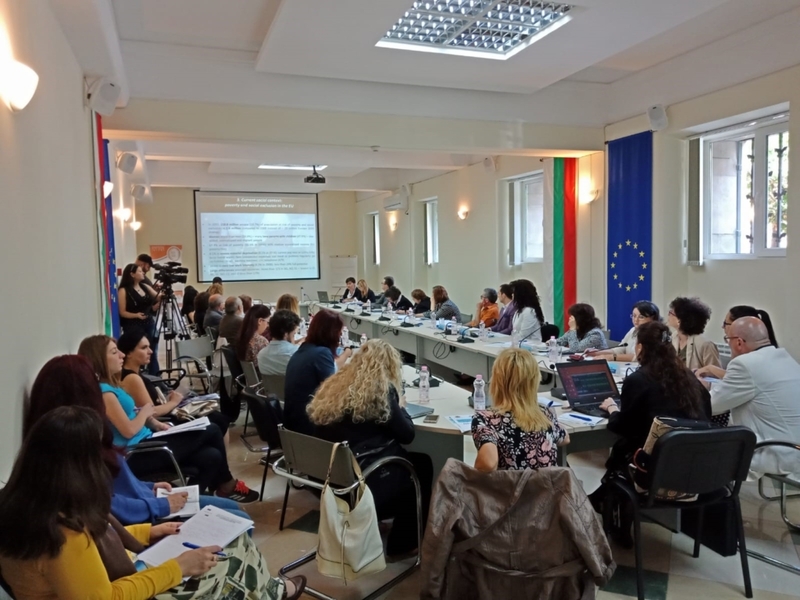 The morning started with a meeting at the Ministry of Labour and Social Policy of the Republic of Bulgaria, and was included in the events agenda dedicated to social issues organized in the framework of the Bulgarian Presidency. The deputy Minister welcomed the EMIN team and re-affirmed her strong support to the campaign and its objectives. 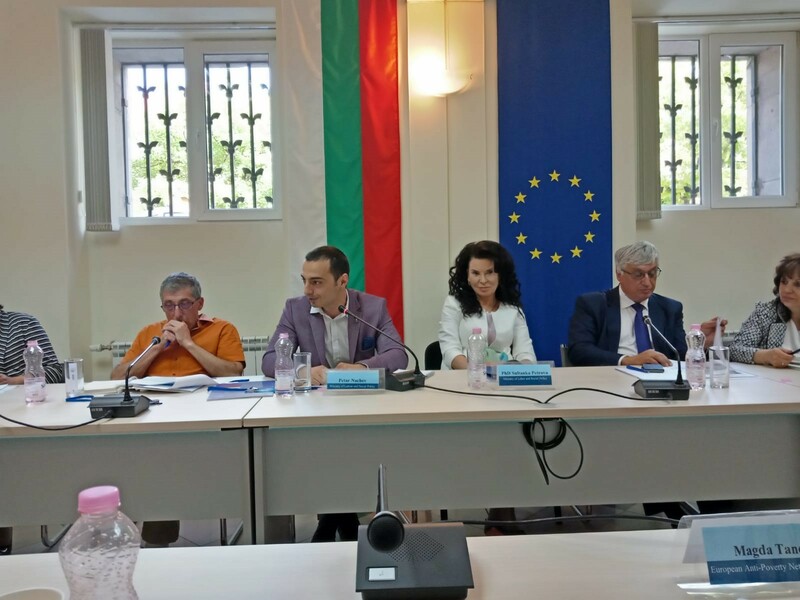 She also reminded those in attendance that the logo for Bulgarian presidency of the Council of the European Union represents unity and solidarity between European Countries, which in her view seems to be the foundation of the EMIN campaign and project. 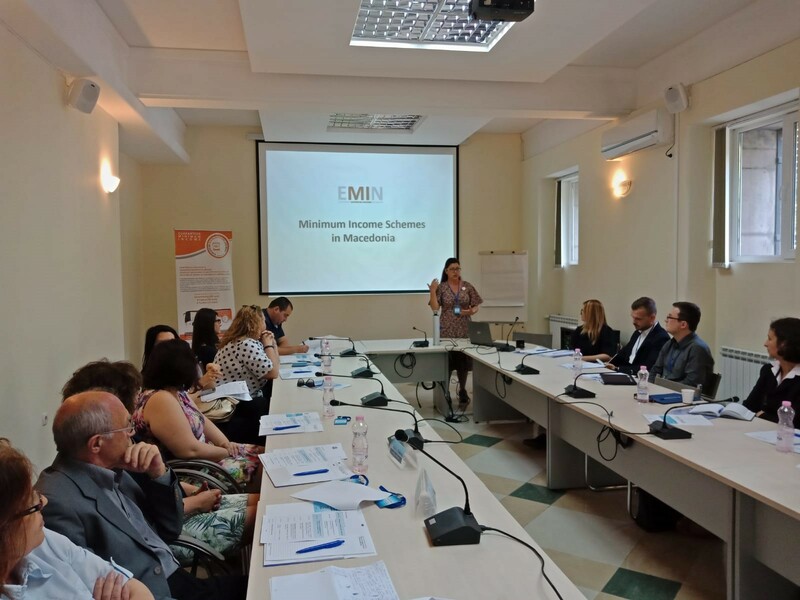 The discussion was attended by representatives of the Ministry of Labour from different departments, of the Bulgarian Trade Union Federation – PODKREPA, of the Balkan Institute for Labor and Social Policy, National Statistics Institute, Organisations of Employers and representatives of civil society organisations. The discussion was strongly focused on the adequacy of minimum income and the steps that need to be taken in order to achieve it, as the existent minimum income schemes fall short of this goal. The debate revolved around correlating minimum income with other instruments used to measure poverty such as reference budgets and that minimum income should not be a self-standing measure but part of a package of social support services and benefits. 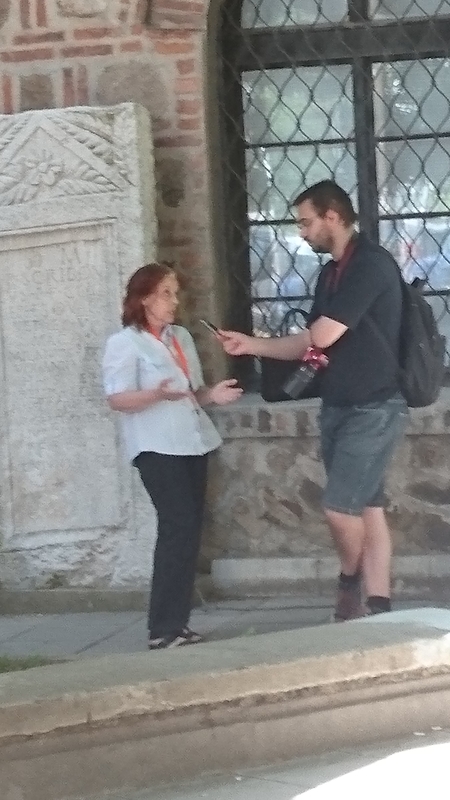 Maria Jeliazkova, the representative of the Bulgarian Anti-Poverty Network stressed the fact it is highly important to involve different groups of citizens among which direct beneficiaries of minimum income schemes and other types of social benefits in the design of social policies aimed at alleviating poverty. 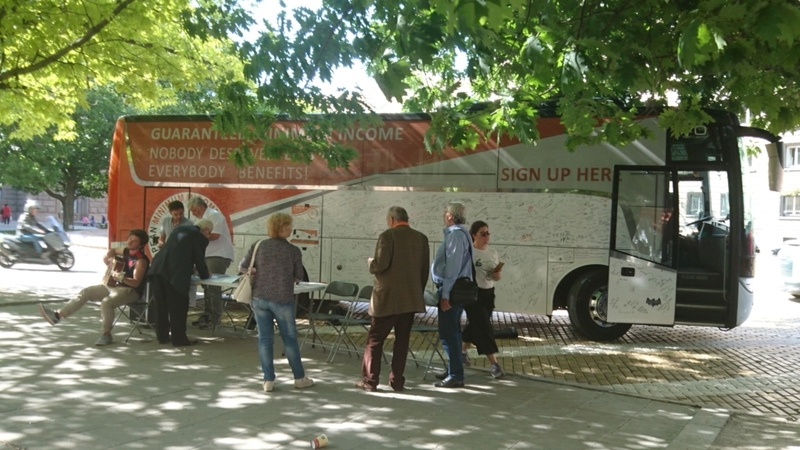 While the EMIN Bus moved to the public square, located in front of the Bulgarian Presidency and the Museum of Archaeology, the team inside the Ministry continued the morning debate with an internal session on the design of tools need for a sound assessment of minimum living standards and poverty at national level. In the afternoon, as we were located in a very central place in Sofia, we had the chance of meeting and interacting with different groups of people – young workers, students, pensioners, tourists, etc. 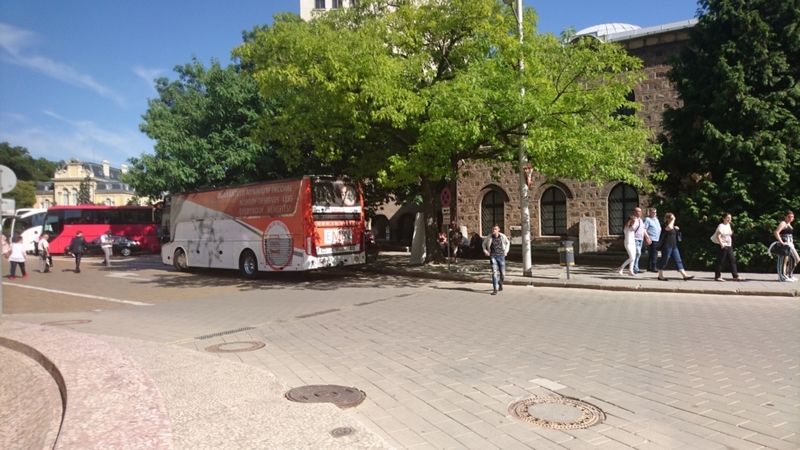 As in Blagoevgrad, we felt it was easier to interact with and mobilize the support of people who are at the end of their working career and pensioners rather than with young people who were a bit more reluctant in approaching the bus and talking to us.